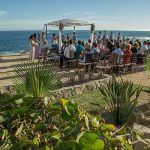 One of the activities that I enjoy most as a couple and with my friends is a road trip around Los Cabos. Leave your daily routine behind and escape for a couple of hours, or, the whole weekend! Why not? If you want to explore new places, try new flavors accompanied by a glass of wine or signature cocktail and enjoy fun-filled activities and romance, there’s always a great option just a few minutes from home. Drive Highway 1 heading north and without taking your eyes off the road for too long, enjoy the views offered by the vast Pacific Ocean and the desert. If you’re taking a trip from December to April, and you’re lucky, you might be surprised by whales jumping and putting on a wonderful show. Each year, 11 different species of the cetaceans visit our temperate waters from the Arctic to give birth to their calves. It is an activity that cannot be ignored when these aquatic animals, the largest mammals on earth, come up to breathe and emerge from the water to delight us with their athletic jumps. 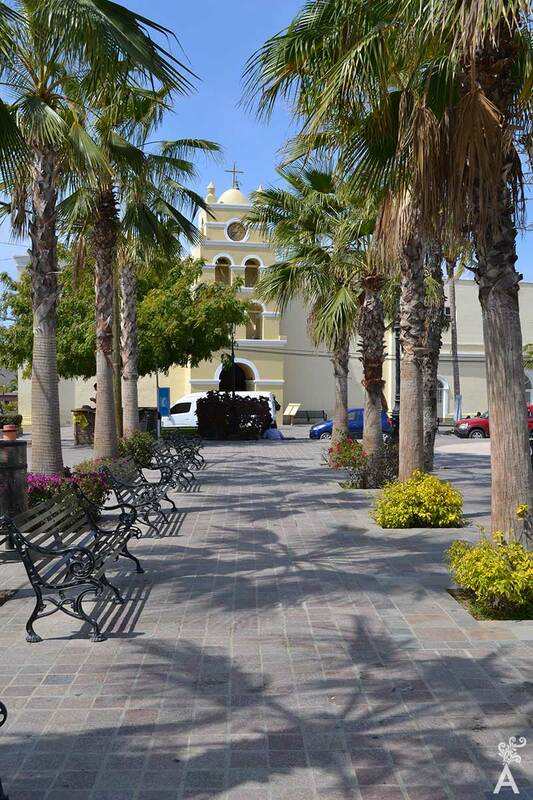 In just 60 minutes, you can reach the Magic Town of Todos Santos, founded in 1733 by the Jesuits with the construction of the Mission de Santa Rosa. The town plaza and other attractions make it a must see! Once you’ve arrived, a car is not necessary. You can enjoy the architecture, cobblestone streets, art galleries, restaurants and nightclubs just by walking around. If you tour during the day, remember to have your sunscreen and hat with you. Although Todos Santos is a little cooler than Los Cabos or La Paz, the temperature ranges between 18° and 28° C.
If you want to stay where the action is, Hotel California has become an emblem of the town. 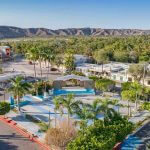 Established in 1950 and completely remodeled in 2001, the hotel has 11 beautiful rooms, a gallery and a restaurant-bar, La Coronela, focused on local foods with Mexican flavors. There’s live music on the weekends. You can also enjoy Hotel Guaycura with a beach club, three restaurants and an incredible terrace with a bar and outdoor pool that offers an unparalleled view of the city. If you want more privacy, there are plenty of options available. One of the best weekends I have spent with my friends in Todos Santos is when we booked Casa Pueblo with four beautiful bedrooms and a fully equipped kitchen. The beach is only a few minutes away by car. At Playa Cerritos, La Cachora or La Pastora, you can surf, take a paddleboard class or just stroll the beach. If you want to swim, Palm Beach is a small pristine bay with calmer waves, but you should always be cautious. You can also enjoy motorized activities and horseback riding on the beach by hiring local agencies. If you prefer more relaxed activities, you can take a private yoga class or temazcal steam bath. 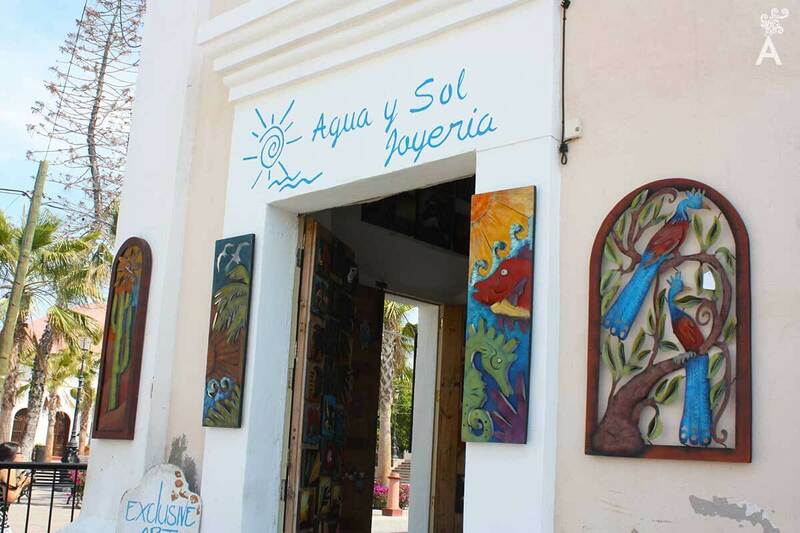 Todos Santos has an endless number of cultural and culinary activities throughout the year such as the Music Festival in January, the Todos Santos Art Festival and the Film Festival in February, the Wine Festival in May and the Mango Festival in August. You can plan your visit to coincide with one of these events! 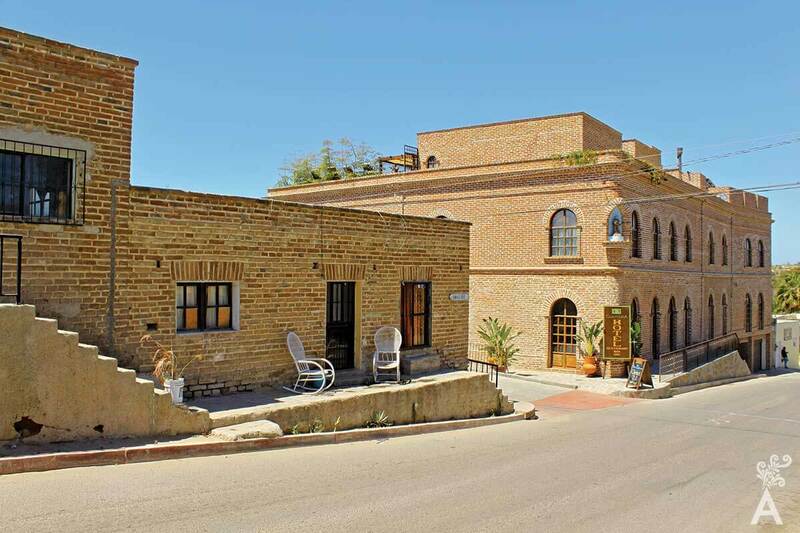 Practically any weekend, you can find art exhibitions, fashion shows and wine pairings in restaurants such as Jazamango. Enjoy the creations of Chef Javier Plascencia and his picaña made with self-cultivated vegetables. And don’t miss their delicious craft mezcal. For a unique seasonal activity to complement your trip, check with Tortugueros Las Playitas AC for the turtle release dates. Three different species of turtles nest each year on the beaches of Todos Santos and associations such as this one provide information and protection for the baby turtles. You are sure to love this activity! When you thought you had seen everything, there is no more memorable moment on this trip than the return home. When you’re ready to hit the road again, do it before nightfall and head towards Cerritos beach to enjoy the sunset. Revel in the pink, orange and yellow tones that fill the sky and offer a moment that you will cherish the rest of your life. 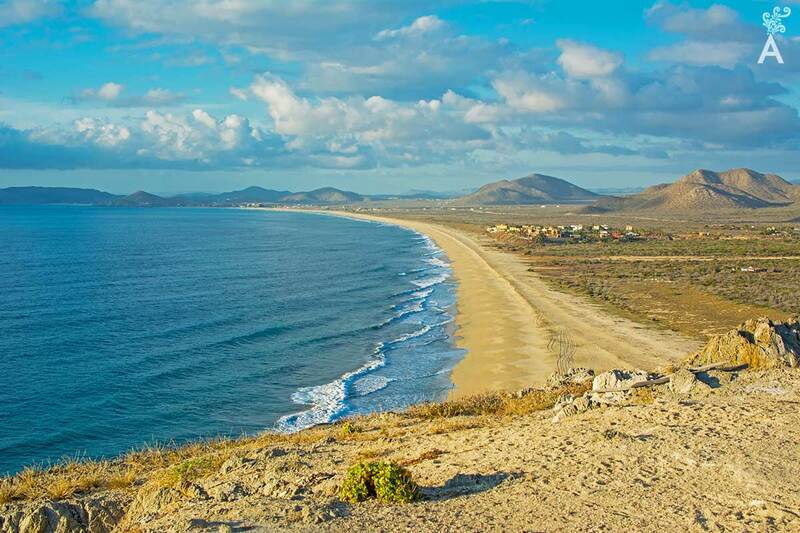 Visit Todos Santos and be amazed by all the possibilities this magic town has waiting for you!